Park Designs Star Vine Ceramics features tan and black with black star accents. 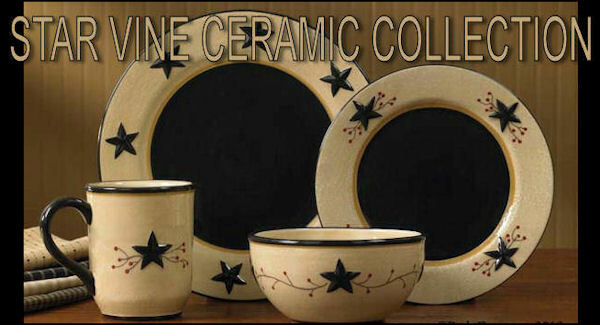 Star Vine ceramics are hand painted on high fire dolemite and are microwave and dishwasher safe. Star Vine Ceramics matches up with many of the Park Designs linens. This collection is great for light use and not recommended for everyday use.